McAndrew relies on a survey sent to around 6,500 dealers, which had a 14% response rate, down from 17% last year. A figure of 910 responses should not be considered as an underpinning key of their results; but still, this is not the report’s biggest fault. Aware of the notoriously opaque art market, Art Basel’s director Marc Spiegler justifies their unpolished methodology by saying: “While true transparency is inherently unattainable, the fundamental image put forward here rings profoundly true.” But the report itself is not being transparent in their data justification. As Alain Servais declares: “We don’t know if the response rate includes partial answers. […] We don’t know how many of them deal in contemporary, modern art, other fine art or antiques and decorative art. […] We don’t know how the sample is broken down geographically, specially when the report pretends to cover the entire world and all we know is that the art market is in fact a large number of sub-markets.” The result: a deep lack of credibility. Potential pitfalls aside, McAndrew’s findings showed that the art market grew 12% to $63.7bn with a 53/47 split between gallery sales and auctions in 2017 –after two years in decline–. These gains were driven by the sale of a handful of trophy artists at the top end of the market. The 172-page report almost seems to be talking about two markets: anything sold over $1m and the rest. 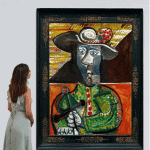 “At auction, growth only occurred for works that sold for over $1m. Works sold at this level accounted for 64% of sales, while representing just 1% of transactions. 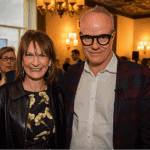 Meanwhile, dealers with annual turnover above $50m saw 10% growth, but gallerists with turnover below $500,000 saw revenues fall by 4%.” This unfortunate example is victim of the lack of a coherent methodology in the report. 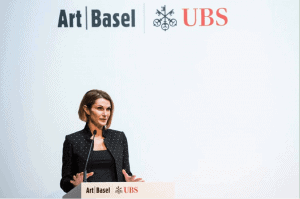 In this case, Art Basel’s analysts are using two incomparable variables: the public auction data and the private self-reported information from galleries’ revenues. The methodology problem sharpens in Chapter number 5, which aims to create a study on the online sales revenue. According to Dr. Andrew, the online art market reached an estimated new high of $5.4 billion in 2017. This represents 8% of the value of global sales – a 10% year-on-year increase, and up 72% over the last five years. Unlike other specialized reports in this sector such as HIXCOX Online Art Trade Report, there are huge unanswered gaps in regard to the respondent’s profile and volume. Servais raises questions such as: “Are sales to bidders bidding online rather than on the phone to a live auction included in online sales? Are sales made by galleries via email included in online sales? What is or is not included?” The danger is that, instead of reporting on the boring reality of business, we get partial numbers which are precariously generalized and roundup. Perhaps exiguous surveys and deadeye valuable econometrics are far from being good methodologies; but as long as we keep conjuring secrecy as our only resource for self-confidence, we will have to satisfy with this level of reporting. Still, we should applaud any effort that tries to materialize the huge ethereal being so-called “art market”. However, it seems we will have to continue relying in our own “skin on the game”.